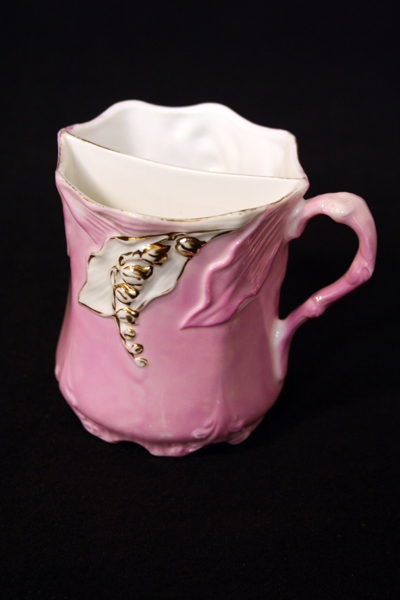 This China cup, made to keep a mustache dry, belonged to Henry Nathaniel Woodard, a member of the Hoskins Company Local Defense. 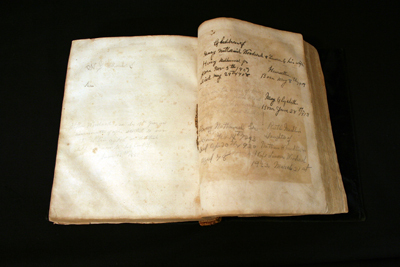 The Woodard family Bible listed Henry Nathaniel and his brother Stephen as going to war. 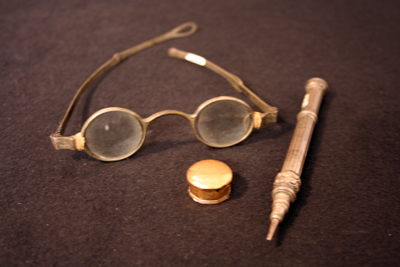 James Cathcart Johnson, a prominent slaveholder and Unionist, possessed these personal items. He owned plantations in Pasquotank and Chowan counties. 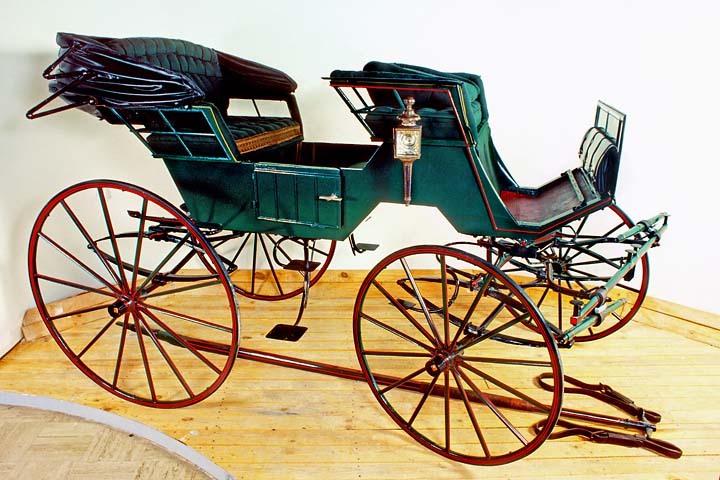 This 4-wheeled carriage was owned by James Cathcart Johnson. It was ordered and delivered in five boxes from New York to Edenton in 1822. The carriage was restored in the 1970s. 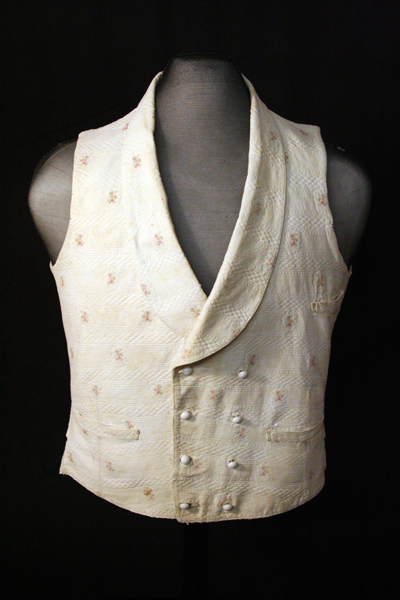 Made of cotton, the vest was worn by William White at his wedding to Axey Morgan. Their house was burned in 1863 during Union General Edward Wild’s infamous raid.